Any Washington state employee that reports an authority figure’s corrupt/illegal activity to proper authorities is considered a “whistleblower.” Washington’s whistleblower laws are intended to protect public employees from facing retaliation for their actions. Unfortunately, it’s not uncommon for Washington employers to engage in retaliatory actions against one or more of their employees. This aggressive — not to mention illegal — behavior may include demotion, suspension, reduced work hours and/or denial of adequate resources to complete your job duties, among others. 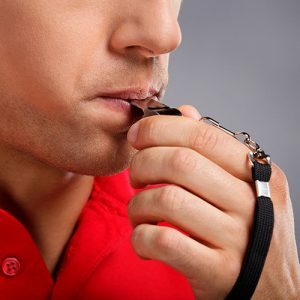 If you believe you have a whistleblower case and are currently an employee of the state, you may receive assistance from the Washington State Whistleblower Program. Eligibility includes those working in temporary, classified, and/or exempt civil service positions, as well as elected officials throughout the government. That said, due to the complex and time-consuming nature of whistleblower cases, it’s highly recommended that you seek counsel from an experienced employment lawyer as soon as possible. Stanley A. Kempner Jr. Attorney at Law assists Spokane employees who engage in whistleblower activities. Get the protection you need by calling (509) 484-1104 today.